On 31st October we celebrate Halloween, the day when ghosts and Ghoulies, witches and fairies are most active. It marks the eve of the All Saints Western Christian Festival and the Pagan Celtic Festival, known as Sam Hain. Nuts, Apples and Candles are symbols of the celebration. Candles: Hold a lighted candle whilst combing your hair in front of a mirror and an image of your future husband will appear behind you. Some Christians abstain from eating meat on Halloween Eve. For many years, John Baskerville’s body was removed from catacombs on a regular basis and his remains put on display for people to view at a small cost. Trick or Treating – with children going from house to house in costume, offering to do a deed and get paid for it, or, if refused, playing a prank on the householder. Apple Bobbing: Placing apples in a bowl of water, kneeling on a chair with a fork in one’s mouth and trying to ‘stab’ an apple. Telling scary ghost stories and/or watching horror films. Pumpkin Carving: Carving pumpkins into jack-o-lanterns. 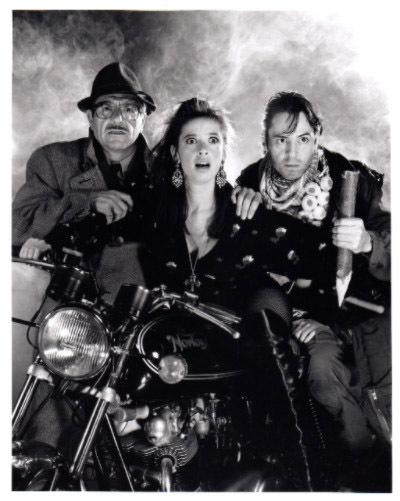 Flatpack Film Festival presents… I Bought a Vampire Motorcycle! 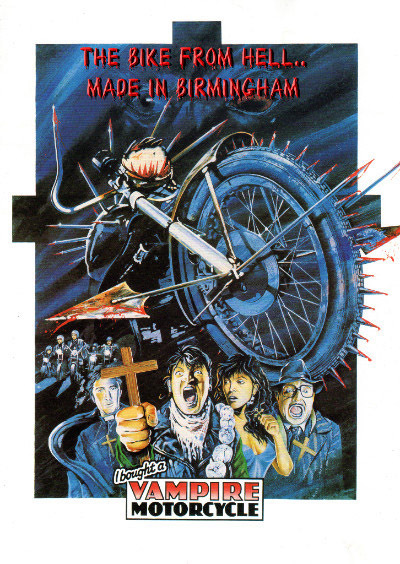 A good 26 years before Spielberg discovered the delights of Digbeth and the Jewellery Quarter as ideal shooting locations, Dirk Campbell and his team were here filming this low-budget comedy horror cult classic. A feature film spin-off of 80s comedy-drama series Boon, about a young man (Neil Morrissey) who buys a motorbike only to discover that it’s possessed by the evil spirit of a man who was killed by a motorbike gang. Starring Anthony Daniels and Michael Elphick alongside Morrissey. To give some insight into how it was made, we’re thrilled that Campbell, and producers Mycal Miller, and John Wolskel will be in attendance to introduce the screening. (Please note this is an outdoor screening and will go ahead whatever the weather, so make sure to wrap up warm. There will also be a licensed bar). For more details, visit their website, www.flatpackfestival.org.uk. Don’t Go into the Cellar return to the Coffin Works the following week for the delectation of a younger audience! Enjoy comedy and chills in this original adaptation of the charming Oscar Wilde tale, written especially for children and young families. 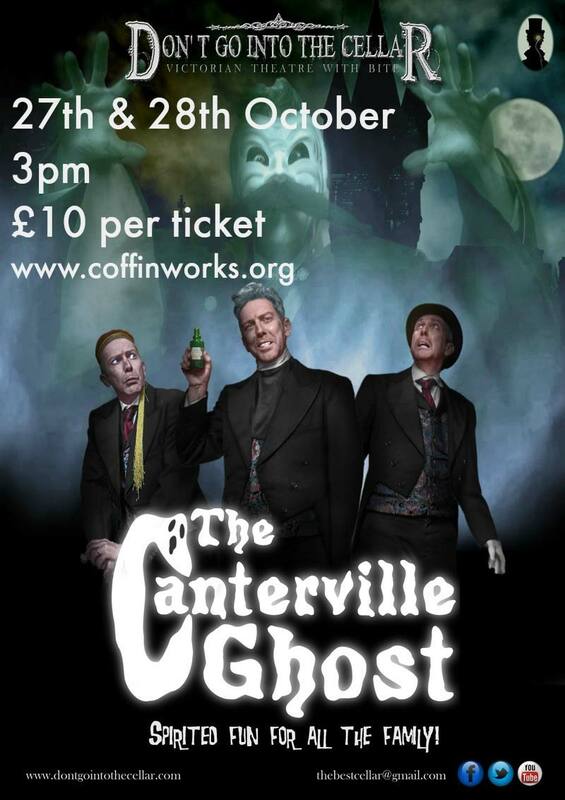 This one-man show, featuring much audience participation, is guaranteed to raise more than just a ghost of a smile! This is a performance sure to delight visitors of all ages. Tickets available for 3pm on 27th October and 3pm on 28th October. Click on the links to book. Tickets £10 each. 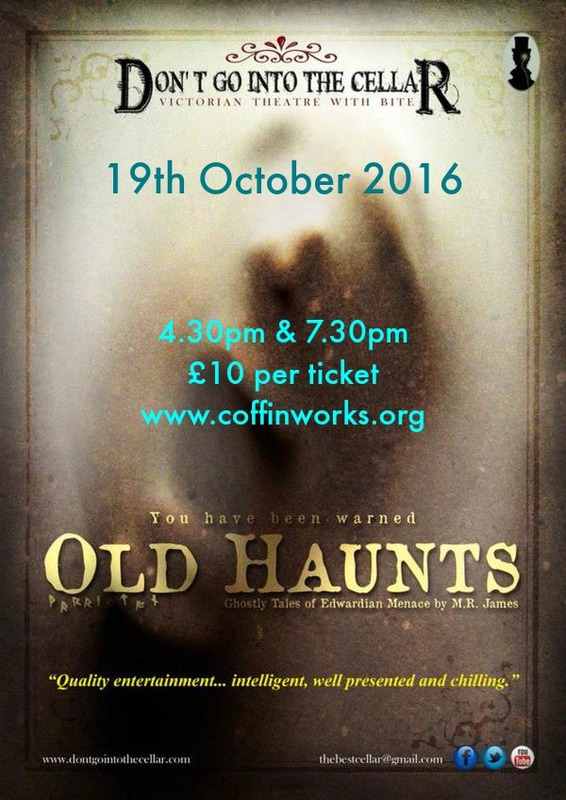 Contact tonia@coffinworks.org for discounted family tickets.